Self-adjusting and designed for easy access. Maximum traction on soft ground and side slopes. 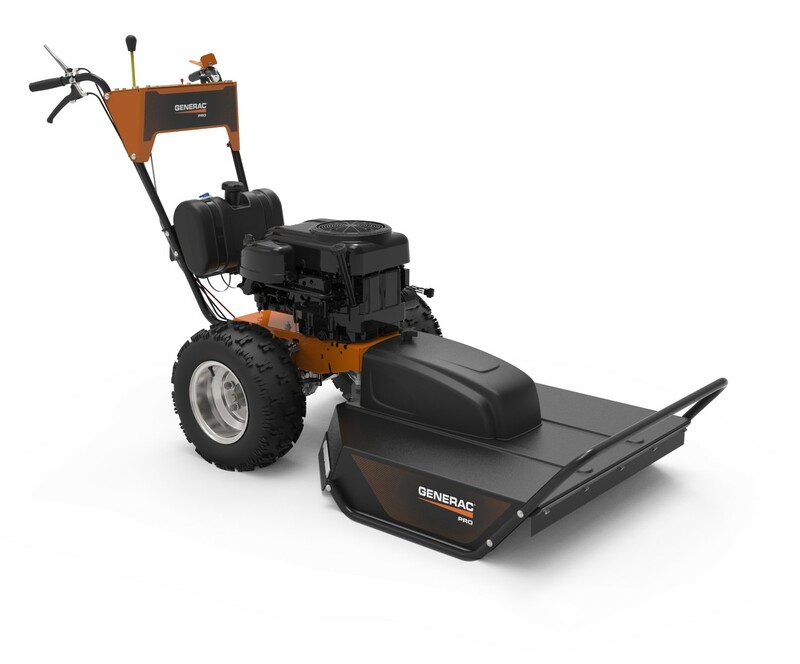 Wide 30" deck mulches brush and grass as you mow. Generac G-Force Engine- Durable and powerful. Pressurized Lubrication- Reduces wear of engine components for a longer life. Handles High Weeds- Cut up to 4-feet high grass and 8-feet high weeds. High Performance Blade Spindle- Integrated into the housing deck, the iron spindle is designed for a vibration-free performance. Hour Meter- Tracks maintenance intervals.